Fortnite has become the biggest game on the planet. It certainly wasn’t the first game to make the battle royale genre mainstream, but thanks to weekly content updates and excellent support, it has become the most enjoyable for millions of gamers. One of the things that makes Fortnite great — and gives it an advantage over rivals like PUBG — is that it’s available almost anywhere. You can play it on PC, console, iOS, and now Android… if you have a Samsung. 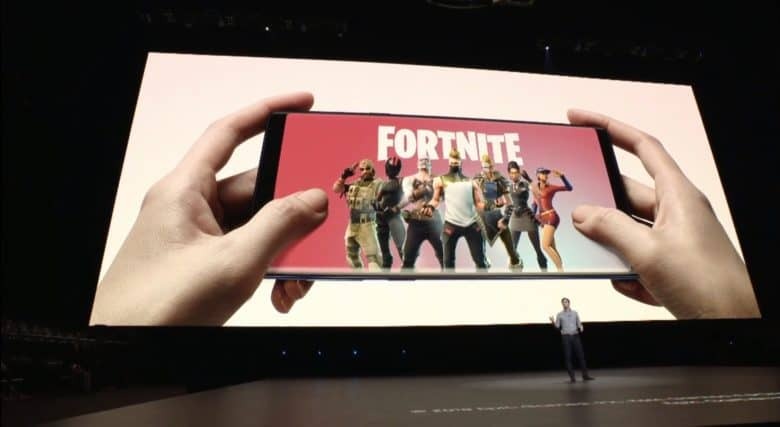 Just as the rumors warned, Fortnite is exclusive to Samsung devices for now. However, it’s not as bad as we originally feared; a handful of devices — not just the Note 9 and the Galaxy Tab S4 — are supported by the first beta. You can get Fortnite via the Samsung’s Game Launcher app. For other Android devices, you can sign up through the Epic website. Epic hasn’t confirmed when Fortnite for Android will be available to other devices. However, it did suggest that it would happen “in the next few days,” which is much better than the 30-day Samsung exclusive the rumors suggested. If you plan to pick up the new Galaxy Note 9, you will also be rewarded with some Fortnite freebies. Those who preorder between August 10 and August 23 will receive 15,000 V-Bucks and an exclusive Galaxy skin — or a pair of AKG noise-cancelling headphones. If you want both, you can pay an additional $99.